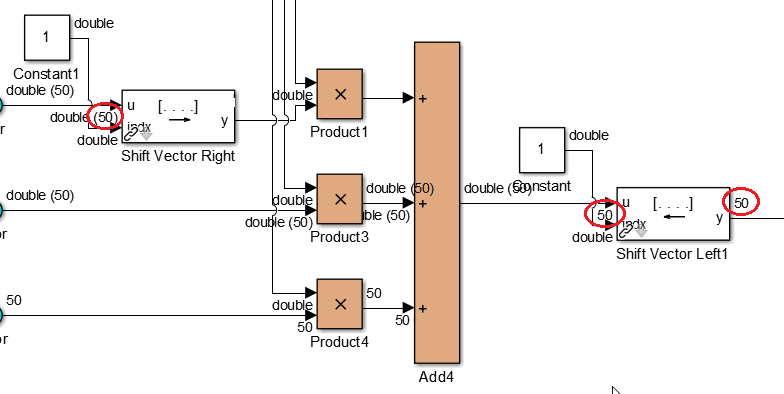 Why can't Simulink inherit signal sizes? Inferred size ('') for data 'y' does not match specified size ('scalar'). Why cant simulink inherit the correct size? Is there a way to fix this without setting the output signal size of the function? try adding the following line of code after %#codegen statement. Since idx is an input to your function, Simulink isn't able to figure out the size of y. A statement like the following provides tells Simulink that it is a vector of 50. Yes that would work. Thank you. My concern is just, that Simulink actually does figure out what the size of y is in all of these functions in the model. Just in this specific one it doesn’t work.